A special set of tasks that each Skylander can do to earn bonus health. The Quests are similar to those found in Skylanders: Giants but you'll find that they're completely seperate and progress in one game does not apply to the other. Each rank takes three completed quests and gives you +25 health, so with three ranks that's a total of +75 health you can earn. If you have completed enough quests in Giants to get a rank you will still see the icon for it but you cannot check the progress on those quests in Swap Force. The first set of quests are common to every Skylander. Badguy Basher Defeat 1000 enemies. Arenas have plenty of enemies to kill, try the ones with plenty of Chompies like Angry Angry Plants. Fruit Frontiersman Eat 15 fruits in Story Levels or Arenas. Despite the description of the quest food picked up in the Bonus Missions does count, and there's plenty of fruit in there. That said the fruit in the Bonus Mission Fruit Fight does not count, for obvious reasons. Flawless Challenger Complete a non-Story Mode level with full health. That means that at the very end of the level you must have full health and not that you cannot take any damage. True Gladiator Win 10 PVP matches. The quickest win is by your opponent jumping off the edge in Ring Out. Totally Maxed Out Reach level 20 and purchase all Upgrades for this Skylander. The higher the difficulty the more XP you earn. Elementalist Cause 7500 elemental bonus damage. The Wii version has its elemental zones mixed around a bit. Each Skylander has two quests specific to their element. Air Geronimo! Travel over 250 feet in one fall. One possible way is to jump off the top of the tree in Woodburrow and make your way out of the sidescrolling section (can't do this on Wii). Another is the drop near the start of Twisty Tunnels. Air Skylooter Collect a total of 500 gold in midair. There's plenty of gold around Woodburrow and jumping into the gold counts as being in the air so it shouldn't take too long. Earth Savior of the Land Free the Terrasquid in the Twisty Tunnels without switching Skylanders. Play through Chapter 8 using just the Skylander. Earth Unearther Use shovels to dig a total of 25 holes. Twisty Tunnels has several holes to dig up near the start. You can first find these in Winter Keep, there's a couple just after the Checkpoint so reload the level after killing them. Fire Bombardier Defeat a total of 30 enemies with bombs. Motleyville, defeat Whiskers and then go to the first dynamite shack without killing any of the chompies or the Heaver outside. Keep going back in to get another stick to throw at the enemies, also go through the gate that you're supposed to blow up and get the enemies there. Shouldn't take more than two or three reloads. Life Defender of Life Defeat a total of 25 Undead Spellpunks. The Royal Gems Bonus Mission has a couple of Undead Spell Punks. Life Fully Stocked Defeat a total of 250 enemies while at full health. Any arena should give you plenty of opportunity to do this. Magic Puzzle Power Push a Laser Puzzle Beam to defeat an enemy. Make sure to have attacked the enemy yourself a little bit. Bonus Mission Frozen Delight has a good spot on the third ice cream to lure in some enemies. Magic Mage Rivalry Defeat a total of 25 Ranged Cyclops. ie Gazermages or Sleetthrowers. The Bonus Mission Ghost Traps has seven that you can quickly get. 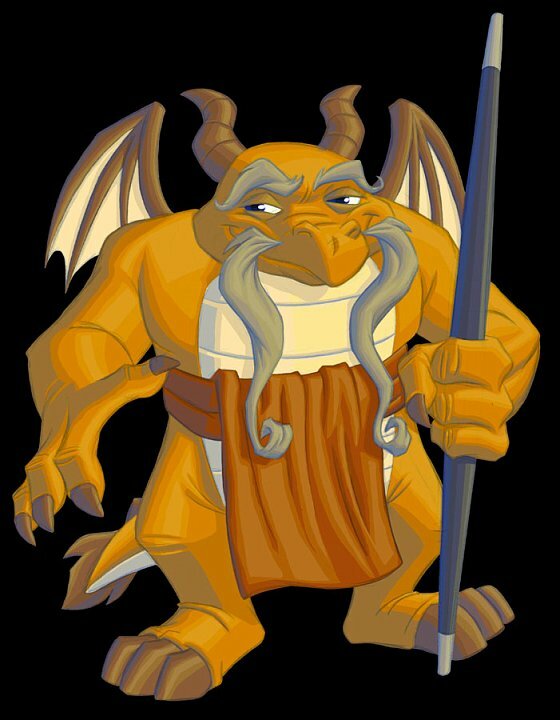 Tech Out-Teched Defeat Glumshanks in Jungle Rumble without switching Skylanders. As it says don't switch Skylanders at all. Tech Problem Solver Complete a total of 25 lockpicking puzzles with this Skylander. Time consuming. There's a Spark Lock in Woodburrow you can keep reloading to do. Undead Witherer Defeat a total of 25 Life Spellpunks. Ten can be found in the Golem Invasion Bonus Mission. Undead Back from the Brink Defeat a boss while at critically low health. You need to be at health where it's red and flashing. Probably the most straight-forward boss is Evil Glumshanks. Water Extinguisher Defeat a total of 25 Fire Golems. There are four in Golem Invasion Bonus Mission but two at the start of Boney Islands that you can keep reloading to defeat. Water A-Fish-Ionado Catch 25 fish with the fishing rod. Sit in the Under Hollow fishing. And each Skylander has their own personal quest. All versions of the same character have the same quest so, for example, a Series 1 Stealth Elf has the same set of quests as a Series 3 Dark Stealth Elf. For the swappable Skylanders the quests are held in the top half so you can use any bottom half you like when completing them. Bash On a Roll Defeat 10 enemies with one roll attack. Wait for a load of Chompies to group around you, an arena should be good. Blast Zone If You Can't Stand the Heat Defeat a total of 10 enemies from your flame wall in a single use of your Flame Breath. Boom Jet Tactical Strikes Defeat 747 enemies with your Air Strike ability. It's just going to be time consuming, the easiest enemies to kill with it are obviously Chompies. Boomer On a Troll Defeat 100 enemies with kicked Troll Bombs. You have to actually kick the bomb, just leaving it sitting there won't count. Bouncer Stay on Target! Deal 5000 damage with your Fists of Destruction. Elemental Power can help speed this up, face slightly away from your target so as to do less damage with the bullets before turning to fire the fists at them. Bumble Blast Not the Bees! Hit honey-coated enemies with bees 125 times. The hits don't have to kill them so it may be quicker to do on larger enemies. Camo Garden Gorger Eat 10 watermelons. Switch Camo in every time you see one, but don't take him off again too quickly otherwise he'll forget he ate it. To force a save you can just change his hat. Try the Chompy Challenge, Undercover Greebles or Cursed Statues for watermelons. Chill Ice Sore Defeat 50 enemies with the Call of the Narwhal attack. Chop Chop Stalwart Defender Deal 10000 damage using Bone Brambler. Countdown Out With a Bang Defeat 10 enemies at once with your Self-Destruct explosion ability. Gather up Chompies to take them out in one blast. Crusher High Roller Defeat 100 enemies with boulders. By boulders it means the Rockslide ability. Easier with the Soul Gem upgrade to steer yourself. Cynder On the Haunt Defeat 50 enemies with your Ghost Ally. The ghosts you leave behind when dashing are Ghost Allies, dash through Chompies to get this quickly. Dino-Rang Fooderang Pick up 20 Fruit Kabobs. Switch Dino-Rang in every time you see one, but don't take him off again too quickly otherwise he'll forget he ate it. To force a save you can just change his hat. Doom Stone Stop Hitting Yourself Defeat 50 chompies just by blocking. Sit in an arena or bonus mission with your shield up, turn to face the chompies and they should kill themselves when they try to attack you. Double Trouble Big Bomb Trouble Defeat 10 enemies with one Magic Bomb Summoning. Get in an arena and let Chompies swarm up on you to defeat them in one blast. As the radius is quite small you'll have to be right in the middle of them. Drill Sergeant Drill Skill Defeat 10 Spell Punks with the Auto-Blaster. Bonus Mission Royal Gems has plenty of Spell Punks to defeat. The Series 2 Wow Pow interferes with this as killing a Spell Punk with its new attack does not count, luckily every other shot is a regular auto-blaster shot so you should get the credit as long as that hits last. Drobot Feel the Burn Defeat 50 enemies with After Burners. If you're having trouble circling around just use the hover mode to move close so that the enemies are behind you, let go of it to carry on burning. Dune Bug That's How I Roll Roll your Dune Ball a total of 5,000 feet. Hold down the Dune Ball button and keep circling around the Woodburrow pool. Eruptor Pizza Burp Eat 10 pizzas. Switch Eruptor in every time you see one, but don't take him off again too quickly otherwise he'll forget he ate it. To force a save you can just change his hat. The Food Thief should have plenty of Pizza. Eye-Brawl Gold Search Collect 750 gold with your eyeball detached. Once you've got the "Headless, Not Helpless" upgrade Eye-Brawl's body will move slightly forwards when punching so stand near some coins and try to lure it into picking them up. Fire Kraken Don't Rain On My Parade Knock back enemies 10 times with one use of your parade ability. That can be ten different enemies, and killing an enemy still knocks it back so Chompies are of course your best bet. Flameslinger Circular Combustion Eat 50 Hamburgers. There are plenty of hamburgers in the Shellshock's Curse Arena. Flashwing Let it Shine Defeat 20 enemies with one Crystal Lighthouse. Sit in the middle of an arena with loads of Chompies and hold down the Crystal Lighthouse attack until the quest pops. Free Ranger Ruffled Feathers Hit enemies 25 times without stopping your melee attacks. Keep tapping the attack button even if you're swinging at thin air, 25 should be easy to do in a Chompy infested arena. Freeze Blade Chill Out For a Second Freeze 100 enemies with your Frosticle attack. Fright Rider Delving Throw Defeat 50 enemies by dragging them underground. That's the Soul Gem ability. Fryno Frequent Frier Deliver a total of 100 heat-imbued blows against enemies. Ghost Roaster Grave Circumstances Defeat 100 enemies with Skull Charge. As with everything else Chompies in arenas will be easiest. Gill Grunt Anchors Away! Defeat 50 enemies with the Anchor Attack. Grilla Drilla Monkey's Mean Business Deal a total of 2000 damage to enemies with summoned monkeys. Elemental Power can help speed this up. Grim Creeper Aggressive Outfit Hit 10 enemies in a row with your armor while it travels back to you. Because you'll want to live go to Easy mode and attack a group of ten Chompies, you don't need to mark all ten just to hit them so one big ground should do the trick. Hex Noggin Knocker Knock away 100 enemies with your Skull Shield. The only trouble here is that you move really slowly when using the attack, and then that the enemies killed by the skulls after they fly off don't count. Hoot Loop Wand You Like to Play a Game? Defeat 50 enemies with the final explosion of the Flashback attack. The Soul Gem upgrade does not help with this as only one of the three DejaBOOM projectiles will explode at the end, which means you'll end up killing more Chompies but still only get one that counts. Hot Dog Animal Aggravator Eat 10 Hot Dogs. Hot Dogs are kinda rare, Bonus Missions Chompy Sauce, Fishy Fishing and Master Chef should have a few. Hot Head Buggy Breakthrough Travel 5000 feet in Hot Rod mode. It'll maybe take fifteen laps around the Woodburrow pool. I'd suggest going clockwise so you can see the folk standing in the way. Ignitor Tinder Trekker Deal 5000 damage with Mega Slam. Use Elemental Power to do this quicker. Jet-Vac Bird Cleaner Travel 5000 feet while Flying. Fly around the Woodburrow pool about fifteen times, to speed up the recharge use the suction gun. Lightning Rod Current Event Defeat 50 Golems. Golem Invasion is the perfect Bonus Mission for this one. Magna Charge Now That's Using Your Head Deal 5000 damage using your Polarized Pickup. Shouldn't take long with Elemental Power. Night Shift King of the Ring Hit 10 enemies at once with your giant uppercut punch. That's from the Don't Move, Just Stick! upgrade. It might be a bit tricky getting enough enemies in range to do this so just keep on trying. Ninjini Bottle Beatdown Defeat 10 Golems using Bottle Rockets. The Golem Invasion Bonus Mission should be a good place to do this. Pop Fizz Rampage Deal 200 damage in a single run in Beast Form. That amount is kind of pathetic, if you haven't got it accidentally then you've probably just never used Beast Form. Pop Thorn Take a Deep Breath Hit enemies with a single stream of breath 100 times in a row. Sit in the middle of an arena holding down the breath attack button, turning around killing until it completes. Prism Break Bifurcation Sensation Defeat 100 enemies using Crystal Eruption. Punk Shock Hydrostatics Shock enemies with electrified water zones 100 times. Rattle Shake Bouncing Biter Damage a total of 100 enemies with your Spring Loaded Snakes. An arena sounds about right for hitting loads of enemies. Rip Tide Whale of a Time Damage 8 enemies at once with your Whale On 'Em ability. Get some Chompies in front of you and attack. Roller Brawl Sharp Jammer Use your Deadly Clothesline ability to take out 10 enemies at once. Rubble Rouser Oh, What a Drill! Deal a total of 400 damage in one drilling earthquake using the Drill Head attack. Smack it down in the middle of a load of enemies to get this, keep holding the attack down until it pops. Scorp Ticking Slime Bomb Defeat 50 enemies from the poison explosion of your main attack. Main attack being the Emerald Crystal attack. Scratch Purrfect Pounce Defeat 50 enemies by pouncing on them. Shroomboom Lunching Launch Eat a Watermelon while performing a Self-Slingshot. The tricky part is just to find yourself a watermelon, Bonus Missions Chompy Challenge, Undercover Greebles or Cursed Statues should have one or two. Slam Bam Ice to Meet You Defeat 50 Greebles with your Arctic Explosion. Plenty of levels, arenas a bonus missions have Greebles in them. Slobber Tooth Hungry Like a Hippo Swallow 25 enemies. That means eating the enemy and then waiting for it to digest inside you instead of throwing it back out. Which does mean that enemies that die in one hit won't be of any help. Smolderdash Event Horizon Knock a total of 50 enemies into the air with your Solar Orb. The Solar Orb only knocks enemies into the air when you detonate it. Sonic Boom Sonic Squeak Babies defeat 50 enemies. Set them free on some Chompies. Sprocket Mined Your Step Defeat 50 enemies using the Landmine Golf attack. Chompies for this one too. Spy Rise Finishing Touch Spyder Sting 25 enemies. An enemy that can be hit with the Spyder Sting attack will have a fist icon appear next to them, get close and you can defeat them in one hit. Spyro Full Charge Collect 3 gold, eat 1 food item, and defeat 2 enemies in 1 Spring Charge. The first thing is to find a good location for this, one that I used is in Ghost Traps, the second set of Gazermages have some crates with coins in and a piece of food nearby too. Destroy the crates first and hit the mages a couple of times with the flame attack so that your charge kills them. Star Strike Deflection Master Deflect the Returning Star 20 times in a row. You can just sit there bouncing it, no enemies required. Stealth Elf Stealth Health Gain 1000 HP while stealthed. Stealth into food a few times, you do need to be damaged to have it count though. Stink Bomb What's That Smell? Nauseate enemies 50 times with your One-Inch Palm. Shouldn't be too difficult, you can even do it to the same enemy more than once. Stump Smash Thornbark Bullseye Deal 1000 damage with Thornbark. Since you need to take damage to deal damage with Thornbark you might want to lower the difficulty otherwise you'll be quickly dead. Even though Chompies only have 1 health they will still give you the full damage reported. Sunburn Immolation Itinerant Defeat 100 enemies using Immolation Teleport. Swarm Swarm Feelings Defeat 100 enemies in Swarm Form. Terrafin Land Lubber Eat 20 food items while burrowing. You'll need the Surface Feeder upgrade to get this. The food in Fruit Fight counts for this one. Thumpback Beached Whale Defeat 8 enemies with one Belly Flop. Get some Chompies to squish. Trap Shadow Oh Snap! Defeat 50 enemies with your traps. Tree Rex Timberrrrr! Defeat 50 enemies with your Woodpecker Pal. If you want to do this with Chompies then make sure to either stand perfectly still or move away from them, otherwise as a Giant Tree Rex will crush them. Trigger Happy Holding Gold Save up 50000 Gold. If you don't want to attack the Training Dummies while using a Sky Diamond you can earn a lot from going through the Bonus Missions. Voodood Trickwire Defeat 50 enemies with your tripwire. Keep putting them down each time they disappear. Warnado Chompy Catcher Catch 100 Chompies in your tornadoes. They die in just one hit but it counts just the same. Wash Buckler Sleep With the Fishes Defeat 50 enemies with the fish in your bubbles. The Dangerous Waters upgrades triggers this. Since the fish only do damage once the enemy is in the bubble Chompies will be useless for this quest. All the fish needs is the final blow so you can pre-damage the enemy before putting them into the bubble and waiting for them to die. Wham-Shell Irate Invertebrate Defeat 6 enemies with one Poseidon Strike. Gather some Chompies up and hold down the attack, it should be able to hit a few more if you do that. Whirlwind What Does it Mean? Deal 10000 damage with Rainbows. Elemental Power can speed this up. Try Mudwater Hollow. Wind-Up All Wound Up Deal a total of 2500 damage while Overcranked. That would be when you're fully wound up and wind up again, spin into enemies or detonate to do the damage. Wrecking Ball Competitive Eater Defeat 100 Chompies with Digestive Detonation. Any place with loads of Chompies will do. It's not all at once of course. Zap In the Slimelight Defeat 50 enemies by electrifying them in Sea Slime. The automatic electrification upgrade is of course helpful here but it's not necessary. Zoo Lou Professional Boar Rider Hit an enemy with the boar during 20 full-length boar rides. That does mean waiting all the way until the boar disappears by itself, no jumping off. The number of enemies you kill on each run doesn't affect the number of completions for this quest. So killing 20 Chompies in one run would still only up the count by one. Zook Spore it On Deal 5000 points of damage with the MIRV Mortar. Try Kaos' Fortress for Elemental Power on this. If you guys are having trouble with the fruit quest I suggest going on the Chompie Challenge bonus mission there's tons of fruit. I'm having a heck of a time completing Blast Zone's Defeat a total of 10 enemies from your flame wall in a single use of your Flame Breath quest it doesn't seem to work on chompies. Any suggestions would be very appreciated. DOUBLE RAINBOWS... WHAT DOES IT MEAN!?!? BEST. QUEST NAME. EVER. Doom Stone|Stop Hitting Yourself|Defeat 50 Chompies just by blocking. Dune Bug|That's How I Roll|Roll Your Dune Ball a total of 5,000 feet. Freeze Blade|Chill Out For A Second|Freeze 100 enemies with your Frostcicle attack. Fryno|Frequent Frier|Deliver a total of 100 Heat-Imbued blows against enemies. Punk Shock|Hydrostatics|Shock enemies with Electrified Water Zones 100 times. Rubble Rouser|Oh, What A Drill!|Deal a total of 400 damage in one Drilling Earthquake using using the Drill Head attack. Scratch|Purrfect Pounce|Defeat 50 enemies by Pouncing on them. Spy Rise|Finishing Touch|Spider Sting 25 enemies. Stink Bomb|What's That Smell?|Nauseate enemies 50 times with your One-Inch Palm. Trap Shadow|Oh Snap!|Defeated 50 enemies with your Traps. Wind-Up|All Wound Up|Deal a total of 2500 damage while Overcranked. Also I tried Fire Kraken's quest and it doesn't work on chompies.